Our team in Japan selects only the best motors. At our Houston head office we plan and define testing procedures, inspection and quality guidelines with our experienced techs. Here inspection& testing takes place, which ensures the quality of our engines& transmissions. Most valuable step because our reputation is everything! Sold Engines & Transmissions are washed in environmentally friendly steam-washer and securely packed on the pallet for shipment. A decade ago we named our dream project "Engine World" Our dream was based on the concept of importing low mileage used Japanese Engines and Transmissions for U.S market. 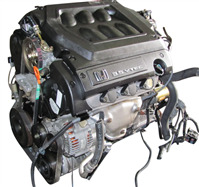 We wanted to glorify the image of"Used Engines" by importing best quality and lowest mileage engines from Japanese domestic market that has the lowest failure rate. We were very confident that the project would be successful because we knew we had a great team based at our head office in Osaka whose sole mission is to ensure good quality Engines and Transmissions. 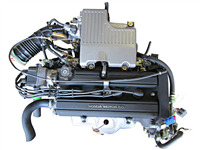 We wanted our engines to be reliable and readily available to be shipped anywhere within United States & Canada. Today we are a decade-strong! When we look back and reminisce the early days of infancy we feel our endeavors have paid off. Our business is based on Business ethics which serves as the foundation of our business. Our Business ethics sets all our business policies. Our business code of ethics is: Deliver superior Japanese Engines & Transmissions by testing every item to the best of our expertise, focus on providing good value for money for our customers and Customer Service keeping fairness in mind. At Engine World Inc we believe"our character is like a tree and reputation like its shadow"
We are raising the bar and setting standards for "Japanese Used Engines" market in United States. 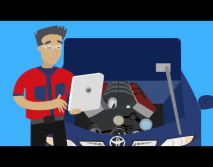 We are changing the way how Engines are sold online. We are proud to say that over 50% of our sales depend on loyal customers who recommend us to their friends and family. 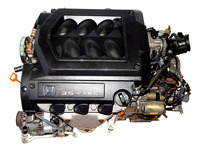 This website serves as an"encyclopedia" of Japanese motors to help our customers find the right engine or transmission. We ship within continental United States & Canada from our head office in Houston, Texas. Our aim is to showcase our efforts on this site. 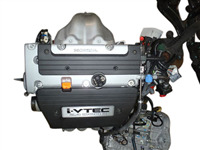 We have tried our best to project the actual image of Japanese import engines for Honda, Toyota, Acura, Lexus, Infiniti, Scion, Subaru, Mazda, Mitsubishi& Isuzu listed on this website. We promise our customers that we will ship only those motors from Japanese domestic market that pass our stringent quality test. Subaru Impreza non Turbo EJ25 SOHC engine for 2005& 2006 for sale. 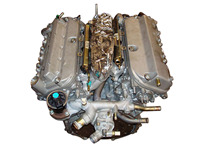 Subaru EJ25 D.O.H.C JDM engine for Subaru Outback for years 1996 to 1999 for sale. Subaru EJ25 Turbo engine for 2003& 2004 Subaru Forester for sale. 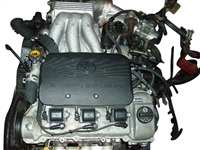 Subaru EJ25 VVTI engine for 2007& 2008 Subaru Forester for sale. Subaru EJ25 Japanese engine for 2005& 2006 Forester for sale. Honda H23A/ H22A JDM Used Honda engine for Honda Prelude for sale. 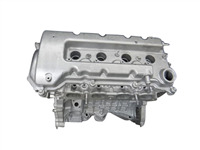 This engine fits 1994, 1995, 1996, 1997, 1998, 1999, 2000, 2001 Honda Prelude. Toyota 1ZZ FE used Toyota engine for Celica GT for sale for year 2000, 2001, 2002, 2003, 2004, 2005 for sale. Toyota Camry used Toyota 1MZ FE V6 engine imported from Japan for 1994,1995, 1996, 1997, 1998, 1999, 2001, 2001 year for sale. Honda F23A 4 cylinder Honda Accord engine for sale. 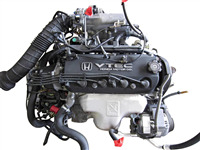 This engine fits 1998, 1999, 2000, 2001& 2002 Honda Accord. 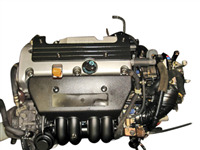 This is a low mileage JDM Honda CRV engine for sale for 2002, 2003, 2004, 2005, 2006, 2007, 2008, 2009& 2010 Honda CRV.